There are some universal laws that can be found across space and time – they’re a part of how the Universe works. The 7 hermetic principles are an example of this conduct and Billy Carson explains all of them. Billy will delve into the mysteries of the Hermetic Principles and a breakdown of the The Kybalion with a study of the Hermetic Philosophy of Ancient Egypt and Greece. Billy Carson is the author of 'The Compendium of The Emerald Tablets.' Carson is also an expert host on the new original streaming series by Gaia named Deep Space. The series is an exploration of the "Secret Space Program" and the types of technologies being used along with their potential origins. Carson is also an expert host on Gaia's original series, Ancient Civilizations. A team of renowned scholars has come together to decipher the riddle of our origins and piece together our forgotten history found in monuments and texts across the world. Billy Carson has combined forces with the top anomaly hunters in the world to form the United Family Of Anomaly Hunters (UFAH). Their mission is to provide enough evidence of past and present life on Earth, and other celestial bodies inside our own solar system, of technologies being used along with their potential origins. The group claims to have pioneered two new fields of science. Archeo-Astronomy and Astro-anthropology. Carson feels that these will be actual college courses in the not so distant future. Billy Carson is also the CEO of First Class Space Agency based in Fort Lauderdale, Florida. Carson's space agency is involved in research and development of alternative propulsion systems and zero-point energy devices. 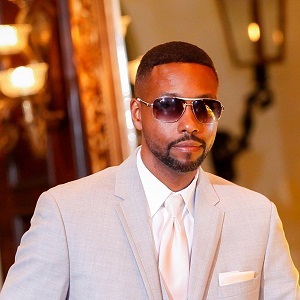 Billy Carson is also the founder of Pantheon Elite Records. The label features five conscious music artists including himself. Carson is also a contributor to Thrive Global and is a registered International Journalist.